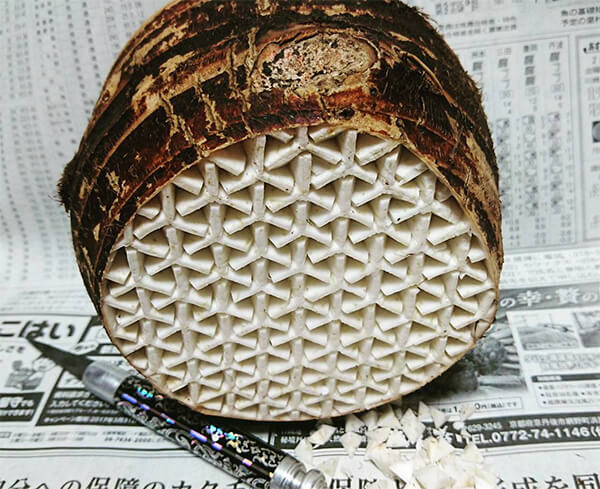 When comes to food carving, the first thing comes to your mind probably is pumpkin carving or watermelon carving. 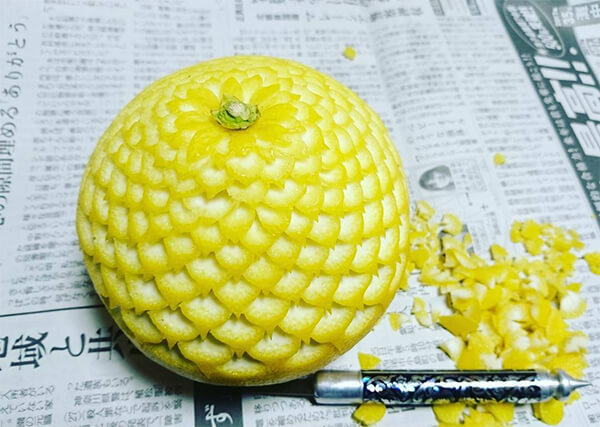 Sculptured pumpkin or watermelon in different shapes like animal, plants or people or imaginative creation do look fancy. 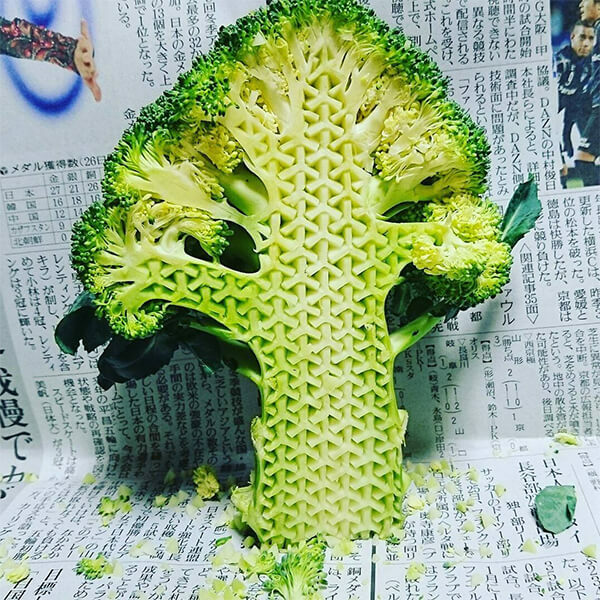 However, the unusual carving Japanese artist ‘Gaku’ bought us just elevate the art of fruit and vegetable carving to a new level and make you wonder “Woo… food carving can look like that!”. 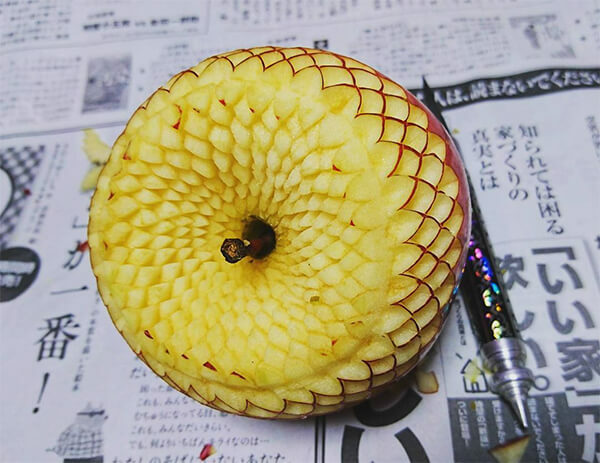 Work with fruits or vegetables that easily get oxidization, Gaku has to make sure his carving take fairly short time – usually several minutes. 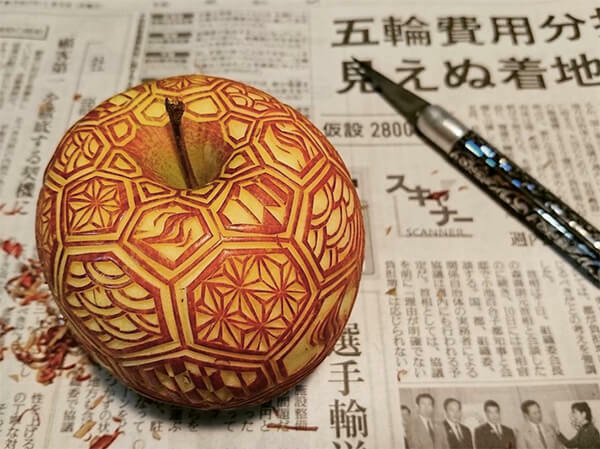 Armed with a tool similar to an x-acto knife and a fruit or vegetable from the grocery store, Gaku carves intricate patterns that are often inspired by traditional Japanese motifs. 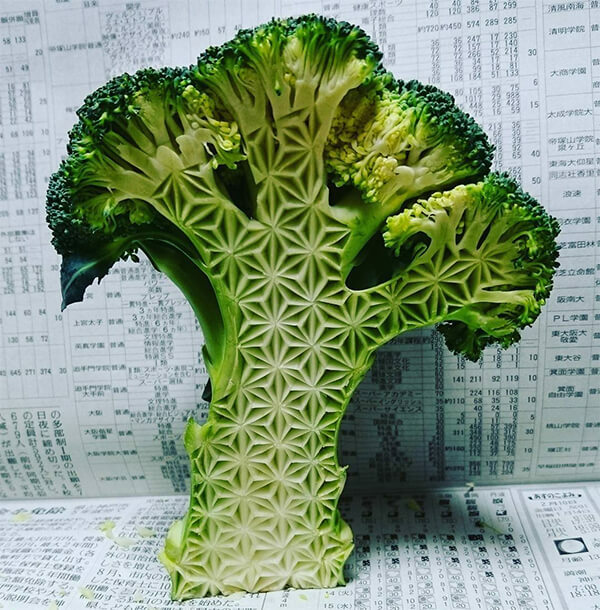 Honestly, when I look at Gaku’s food creation, I feel kind of dizzy and can’t believe those intricate patterns are carved within minutes. 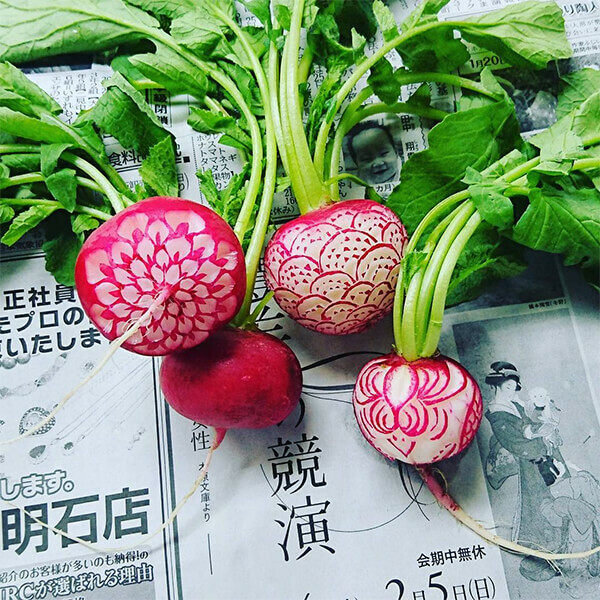 Find more of Gaku’s creations on his instagram page.